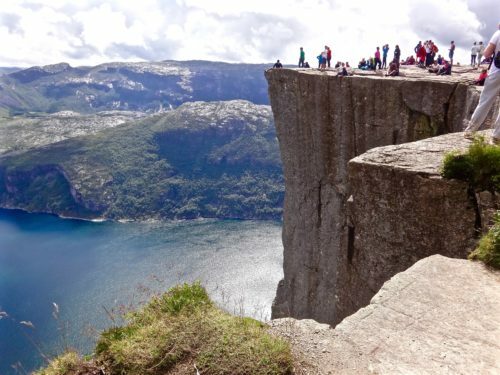 Have you heard about Pulpit Rock in Norway also known as Preikestolen? 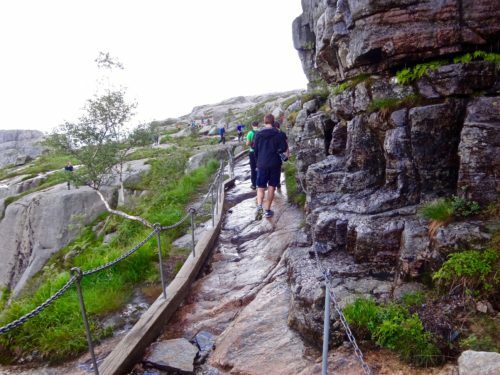 It’s one of Norway’s most visited attractions and for good reason. Pulpit Rock is pretty magnificent and I had the pleasure of hiking up this roughly 2,ooo foot viewing platform. 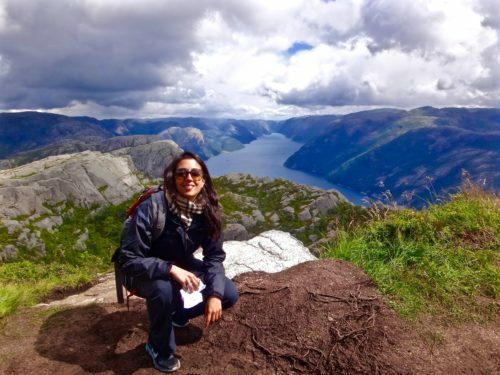 You get to see the famous Lysefjord from the top. 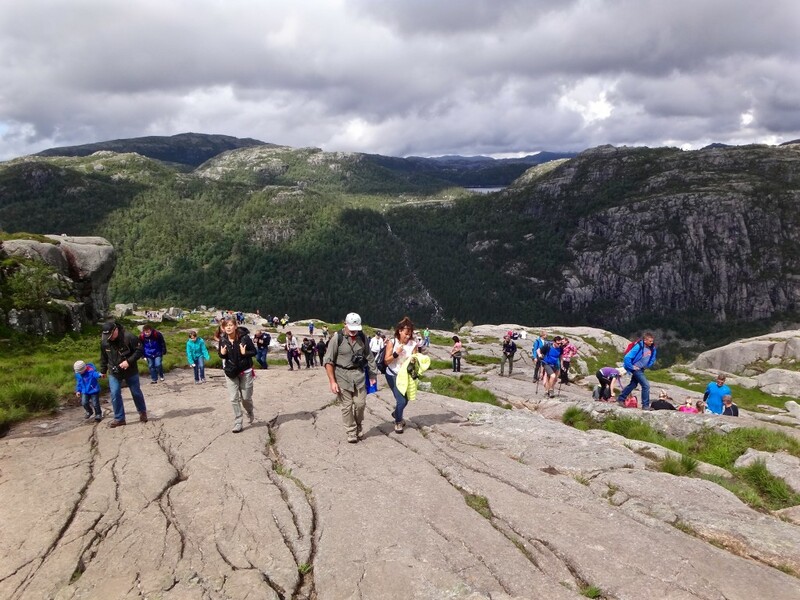 Here are some things you should know before attempting the hike. Getting to Stavanger: Stavanger is the town from where you take a ferry and bus to get to Pulpit Rock. It’s not too far a distance from Oslo but getting there can be a journey. The easiest is a 5o minute flight from Oslo, which I did. SAS has a number of flights throughout the day. You can even fly in and fly out the same day but it will get hectic. 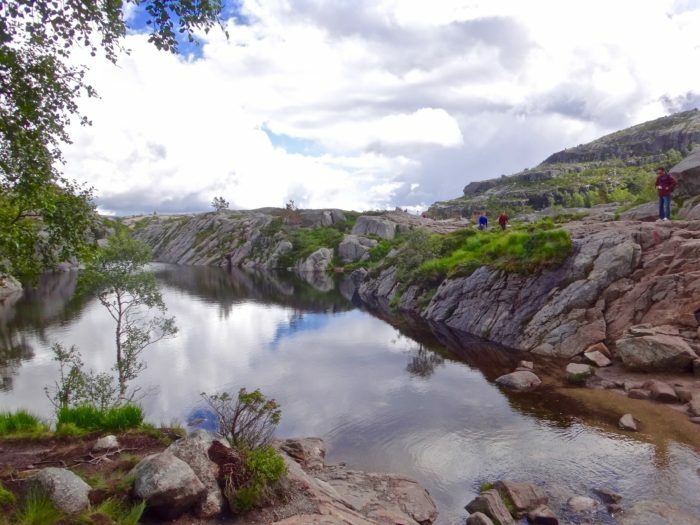 Best to plan an overnight in Stavanger so you can see both the Lysefjord and hike Pulpit Rock. There are options to get to Stavanger by bus, train or car but each of these options will cost you a minimum of 8-10 hours. Great if you have the time because the journey does lend itself to a very scenic trip. 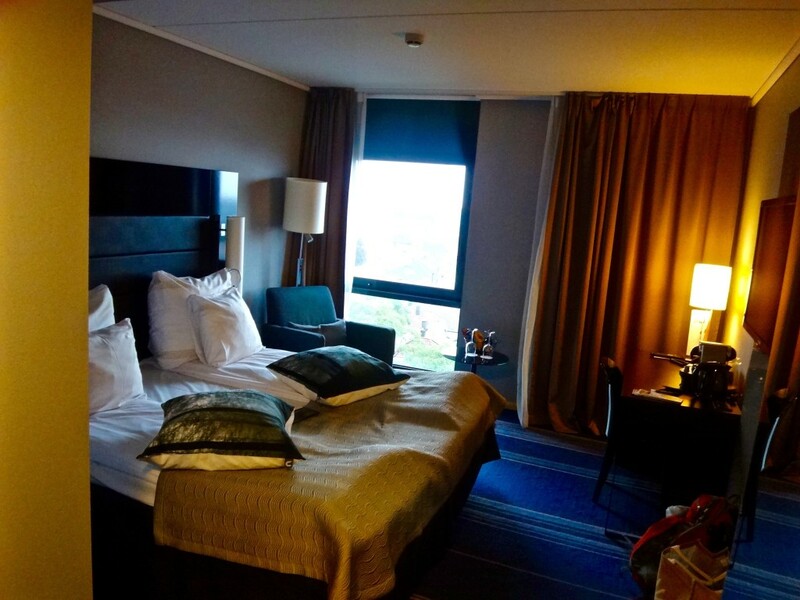 I stayed in a Superior Room at the Clarion Hotel Stavanger (more than adequate with a great view) and the short bus ride from the airport dropped me off literally at its doorstep. It was a 5-7 minute walk to the city (more like town) centre from the hotel. There are things to see in Stavanger itself such as Old Town and Flor go Fjaere, which you’ll have time to do if you spread the trip out across 2 days. 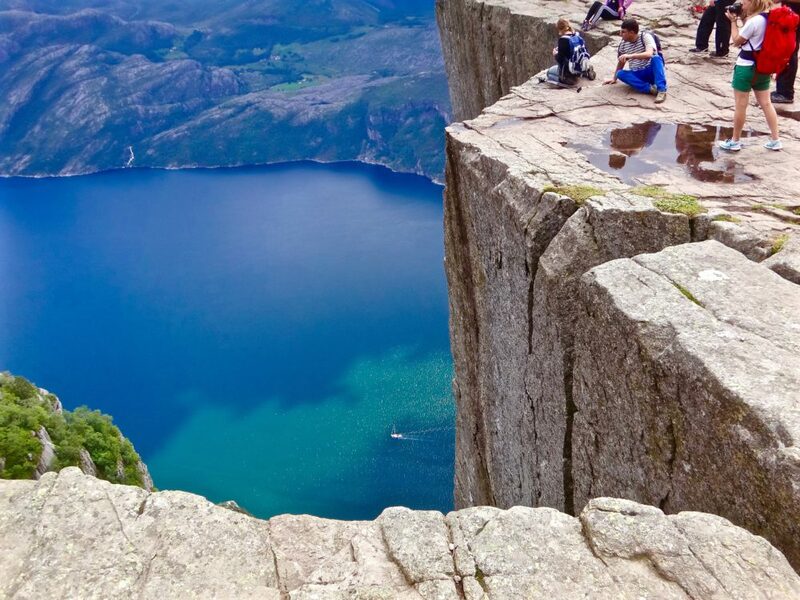 Tickets for Pulpit Rock and Lysefjord. 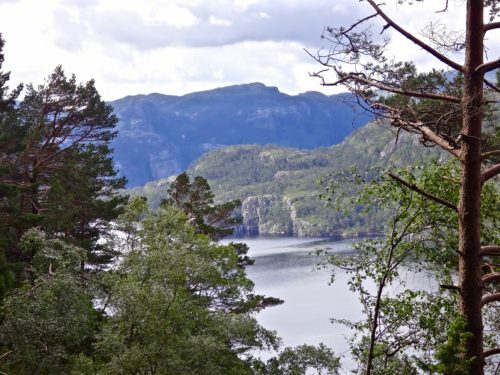 The fjord cruise and hike are two separate trips to be done on two separate days. A tour that combines both in one day exists but again, way too hectic in my opinion. Once you get to Stavanger, the Lysefjord cruise leaves from the harbor itself and tickets can be purchased for NOK 450 or $55 per person for a 3 hour cruise via Rodne Fjord Cruise at the harbor. 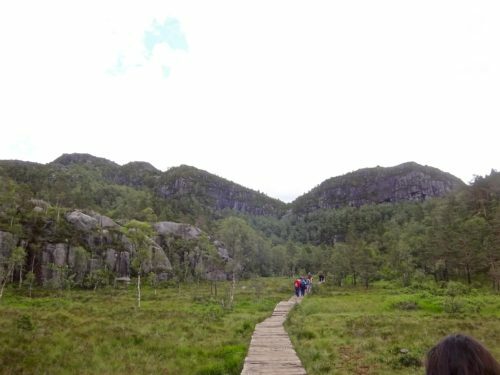 I recommend going to the tourist office and purchasing the cruise and round trip tickets for the ferry and bus to Pulpit Rock for NOK 700 if you plan to do both. You don’t need a guide for Pulpit Rock but if you feel its necessary, go online to Tide Reiser tours. The ferry to Tau is not in the most obvious spot in Stavanger, make sure you get clear directions. Once in the vicinity, you’ll see the line for the ferry. Again, tickets for the ferry can be purchased directly once on board. It’s a short bus trip from Tau to the starting point for the hike. Bring proper hiking shoes! I did it in sneakers and my ankles and knees felt unusually stressed in some areas, especially on the way down. It was raining the day before and the rocks were slippery! My sneakers were sliding all over the place and I took more time to descend than I did to ascend. Norwegians were running down on the descent and it looked half suicidal to me but I guess they’re used to the landscape. 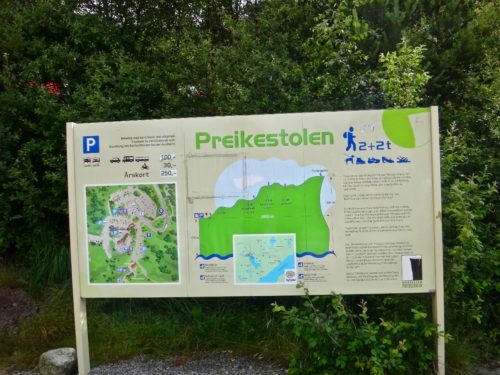 Other point to note is that the tourist office tells you to allot 7 hours for the whole trip including transport, hike up and down. But I would allot 8-9 hours just in case, especially if you have an evening flight out like I did. They say the hike takes 2 hours up, many took three hours. You’ll want to spend some time up there of course, lets say an hour and then there is the descent which I would leave another 2 hours for depending on conditions. An hour each way for ferry and bus, there you have at least 8 hours. For the hike: Bring a small backpack with an extra layer, a hat, possibly a scarf and whatever else you want. It’s cold at the summit, even in August. Have a sandwich or energy bar handy for when you reach. A small water bottle can be refilled with natural spring water across the way. 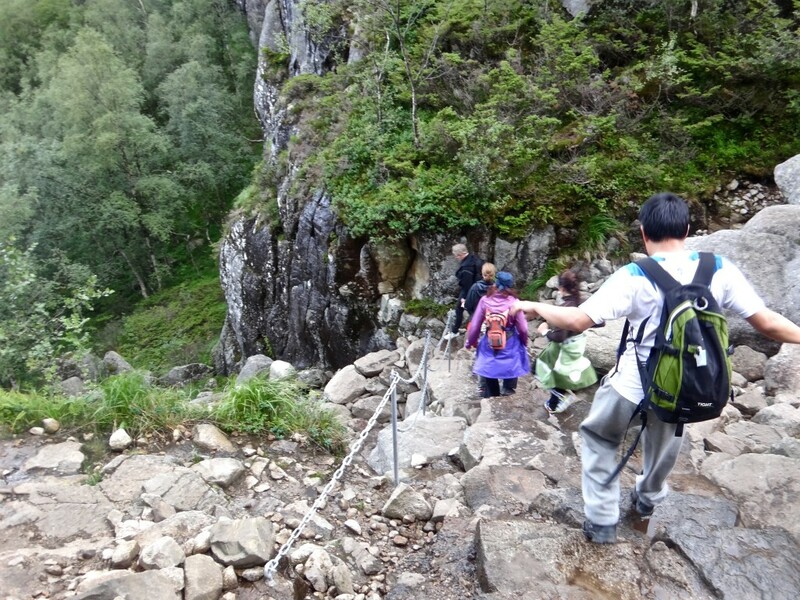 Be careful on the descent: Its pretty steep in some places and people behind you are rushing to get down. If one person slips, it’s a horrendous domino effect which I saw live in person. A girl behind me was too close so I stepped aside and let her pass. Two seconds later she slipped and took three people down in front of her. No one was seriously injured but small mishaps like sprained or twisted ankles are not uncommon. Some areas of the hike are tricky: The path was recently improved but there are still some areas where I think its not “a walk in the park.” Again, wear proper hiking shoes and hold on to your kids.